W5200 Ethernet Shield | WIZnet Co., Ltd.
We are providing W5200 Ethernet Shield CAD File that were created in the free software, Eagle CAD that are downloadable from CadSoft. 1. 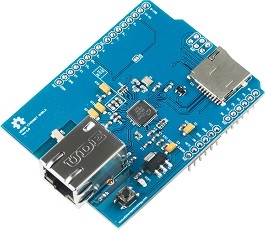 Install W5200 library Overwrite w5100.cpp, w5100.h to the “/libraries/Ethernet/utility” folder in your Arduino IDE. 2. Using the W5200 library and evaluate existing Ethernet example. In the Arduino IDE, go to Files->Examples->Ethernet and open any example, compile and upload the file to Arduino board.